Prevents fish snails and other tank inhabitants from getting sucked into your plumbing, sump or pump and subsequent damage. 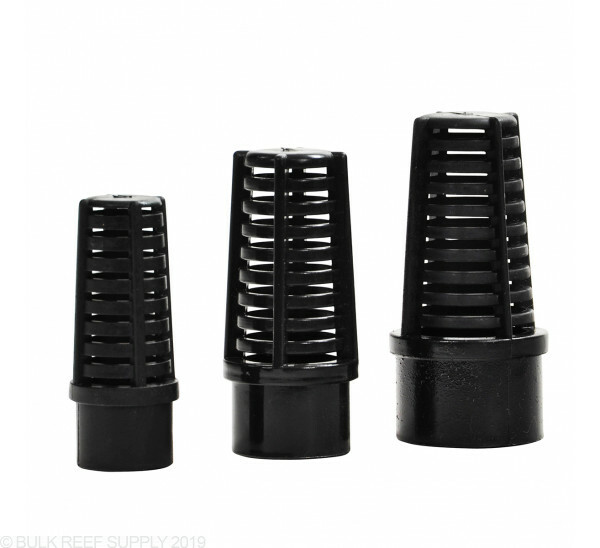 I bought a 3/4" slip bulkhead and a 3/4" slip strainer, but the strainer is too short and small to actually be attached to the bulkhead; even with glue I'm not sure it will make a stable connection. I also bought a slip/street elbow, which does fit into the slip bulkhead perfectly, and while the 3/4" slip strainer does "fit" inside the elbow, it is very loose just like with the bulkhead. The slip side of the elbow is the same diameter as the strainer, but it is slightly longer so it makes it deep enough inside the bulkhead that it gets snug. Had I know it wouldn't actually fit correctly I would have purchased threaded bulkheads and threaded strainers, instead now I have 2 slip bulkheads and 2 slip strainers that are good for nothing. Don't waste your money on these non-standard slip connectors. Keeps fish from getting caught in the plumbing. these are ok but be aware they do seem to inhibit flow more than anticipated. The description only states "Slip" and a "Q/A" which specifically asks if a 3/4" strainer will fit over 3/4" pipe without an adapter was answered yes. However, the "slip" is actually spigot. Which means you can't connect it directly to pipe. The 3/4" strainer is the same size as 3/4" pipe, so it needs a coupler or other adapter. Disappointed in the misleading information. What I actually needed -- and what I suspect others would need as well -- was a barb-to-strainer, not a slip-to-strainer. Slip to strainer just meant adapters, less easy to handle, etc. Annoying. And they do make them. be nice if BRS carried them. Still, mad credit to the guys for getting me going, wrong fitting or not. They know *exactly* what they are doing here. Great place to do this kind of business. Exactly as described and just what I needed. 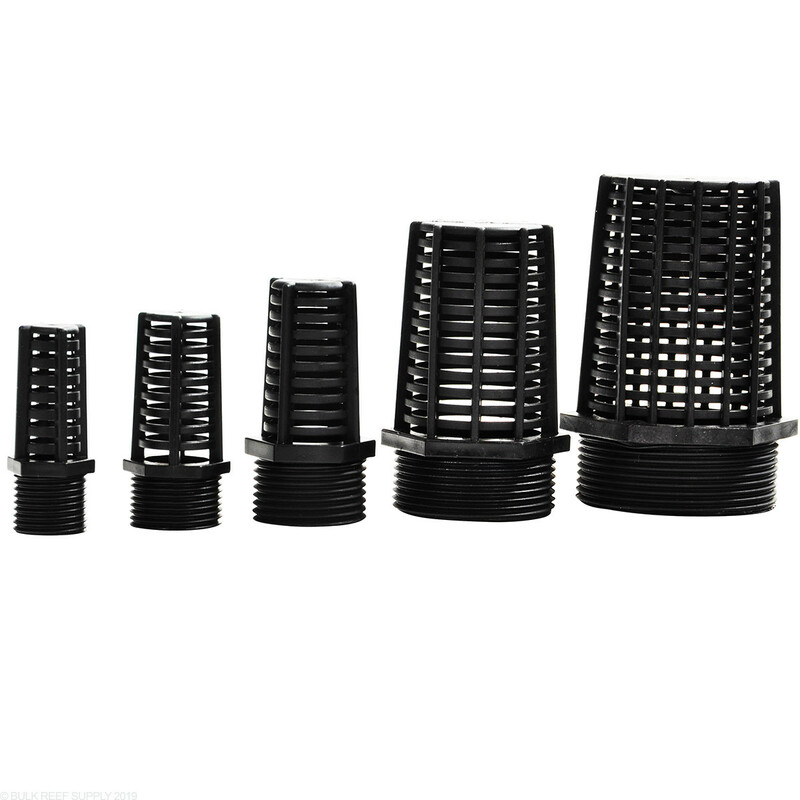 Need your help, I want to put strainer on my herbi overflow and I was looking at the low profile strainer, my main return is a 1 1/2 pvc drain, is there a was I can put in my drain or do I have to put a different make, please help Thanks. 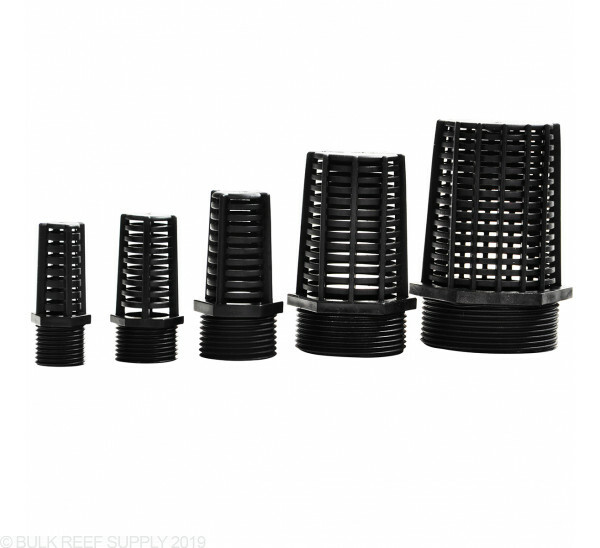 The over flow strainers are a spigot or street fitting meaning they are the same outside diameter as a piece of pipe. To attach to a bulkhead it can be placed directly in the bulkhead, to attach to a piece of pipe you will need a slip x slip coupler. Feel free to let us know if you have any further questions! My durso tube where I need to attach the strainer is a 1 1/4 PVC slip 90. I don't see a 1 1/4 strainer. 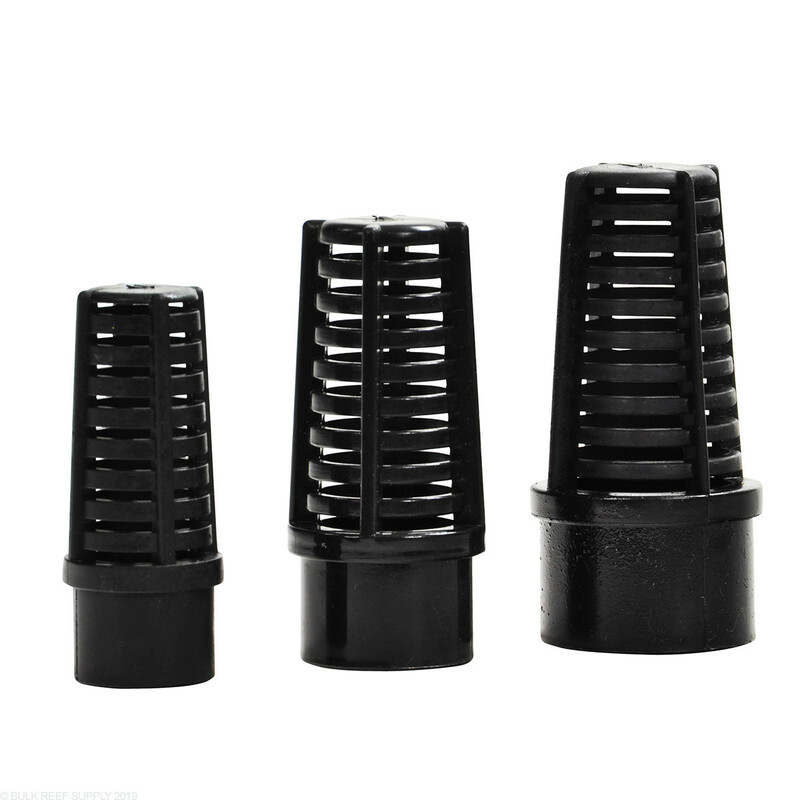 Would the 1" slip fit in the 1 1/4 90? unfortunately we do not carry the 1.25" sized strainer currently. The 1" would be too small and simply fall into the elbow with out being secure. You can attempt to reduce the elbow with a bushing or other reducer to use 1" however. I have a 2 inch bulkhead without threads, need a strainer, what do I need? If you don't have threads in your bulkhead then you would want a slip trainer. Also, keep in mind that the sizes listed are nominal plumbing sizes, so a 2" strainer is for a 2" bulkhead, intended for 2" pipe, etc, but not a literal measurement of 2". Just make sure to double check the nominal size of the actual plumbing and it will fit just fine.